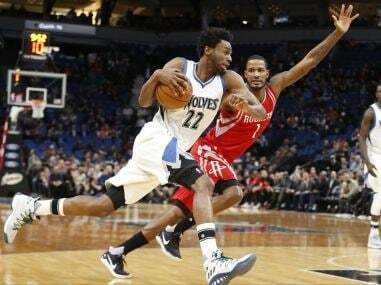 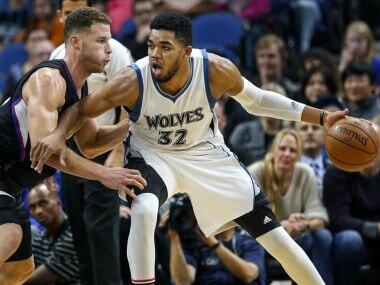 Andrew Wiggins scored a team high 28 points as the Minnesota Timberwolves snapped the Houston Rockets nine-game winning streak with a 119-105 NBA victory. 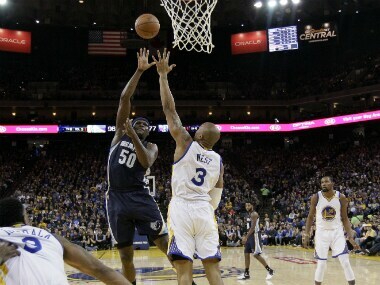 The Golden State Warriors blew a 24 point lead to lose against the Memphis Grizzlies, while the Washington Wizards beat the Minnesota Timberwolves. 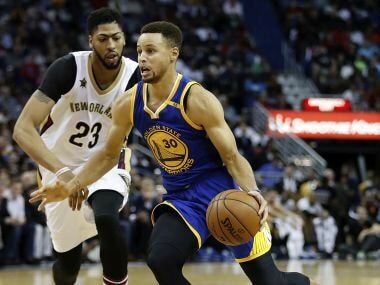 Stephen Curry scored 30 points to win his duel with Anthony Davis as the Golden State Warriors defeated the New Orleans Pelicans while the Cleveland Cavaliers demolished the Memphis Grizzlies on Tuesday. 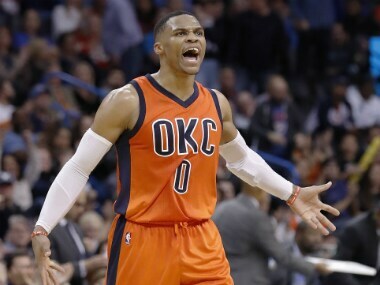 Russell Westbrook had his streak of triple-double scoring snapped but he still scored a game high 37 points to power the Oklahoma City Thunder to a 99-96 victory over the Boston Celtics on Sunday. 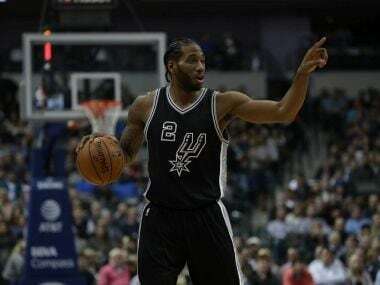 The San Antonio Spurs erased an early 10-point deficit to beat the Minnesota Timberwolves 105-91 on Tuesday and extended their perfect record on the road to 13-0. 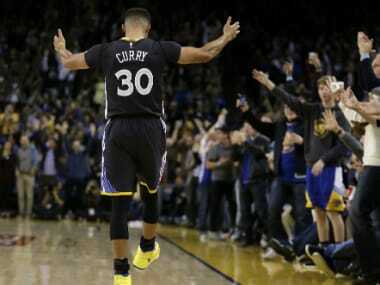 Stephen Curry finished with 31 points as the Golden State Warriors won against the Phoenix Suns, while the Dallas Mavericks beat Chicago Bulls. 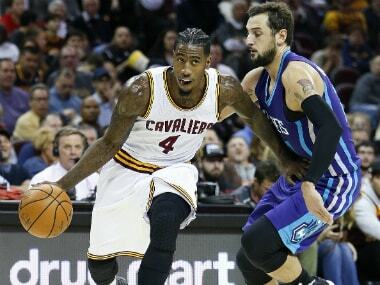 The Cleveland Cavaliers defeated Charlotte Hornets thanks to some incredible 3-point shooting, while Minnesota and Golden State chalked up wins. 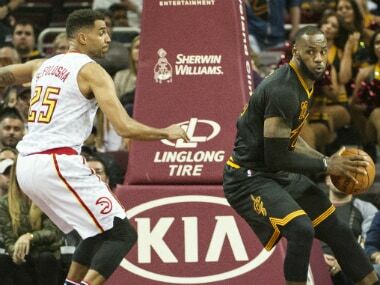 The Atlanta Hawks handed Cleveland their first loss, the Grizzlies get slim win, and the Brooklyn Nets beat the Timberwolves.